Does your canvas boat cover look like this? We will teach you all you need to know about sprucing it up again. There's no need to spend hundreds of dollars in shop time on boat cover repairs. Read on to learn more about canvas repairs and how to save money. 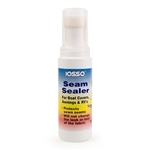 This could potentially help you salvage your boat cover rather than having to replace the cover altogether! Includes a step-by-step guide to repairing tears with pictures: Click here to download my Boat Cover Repair e-Book FREE! 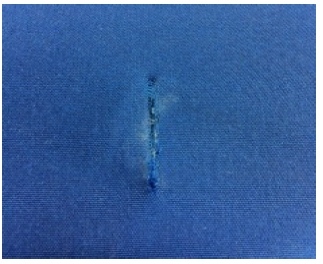 Before you make plans to repair a hole, you will want to check the integrity of the fabric. Give your fabric the tug test by taking hold of the fabric in both hands and seeing if it tears. If it tears, then your money is better spent towards a new cover. If the fabric is sound, then repairing it would be your best option. The best way to patch your cover is with a sew-on patch. If you can do it yourself then go for it! 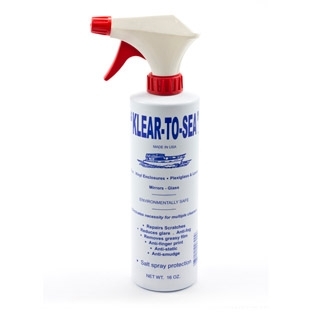 Below, you will see what a basic boat cover repair kit should look like. Along with the boat cover repair fabric, you will also need to use the heaviest outdoor polyester thread your sewing machine can handle for this type of boat cover repair. Your home sewing machine probably won't take thread heavier than 92 polyester thread. 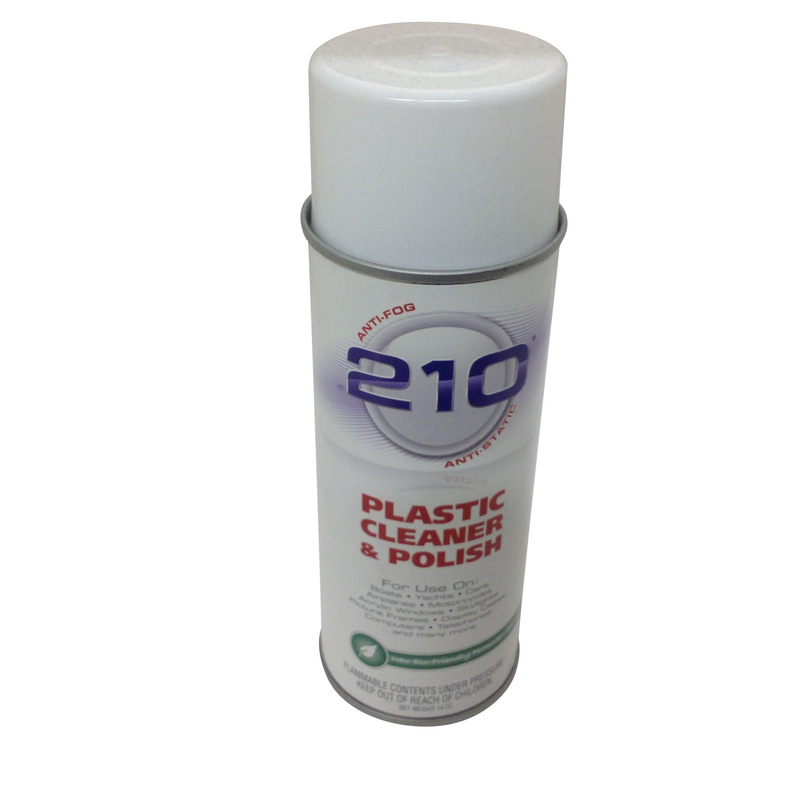 So for DIY projects, use 92 for home sewing machines and 138 for commercial sewing machines. You can buy 4oz. spools of 92 polyester thread that are small enough for your sewing machine and they should work well for you. Some fabricators carry PTFE® thread which are lifetime threads, but since they are very expensive you may not find them everywhere. Most of the time, restitching with polyester is all you need. Just ask yourself if your thread will outlast your cover to determine if you should add the expense of re-stitching with PTFE® thread. Do not use Nylon thread on boat covers! Use polyester outdoor thread only! 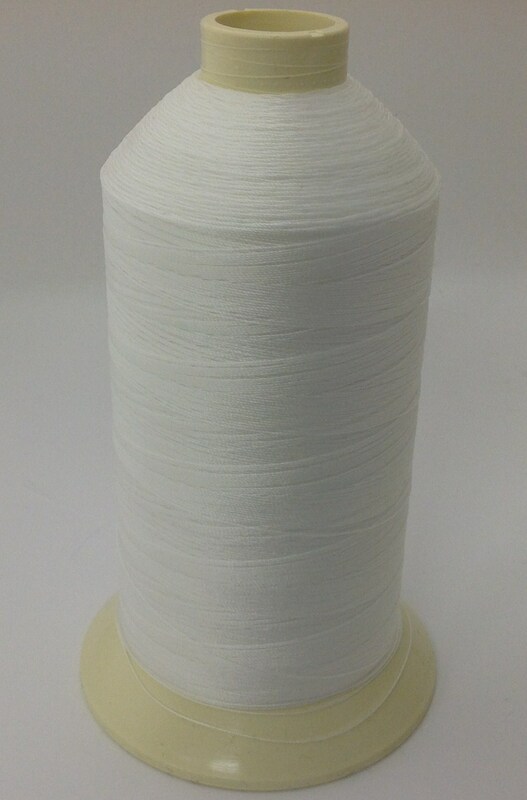 You should also avoid using fabric store polyester spools that are used on clothing since this thread won't last either. Start with small repairs and move to larger ones as your skill improves. Another way you can handle smaller tear repairs is with a product called Tear-Aid®. 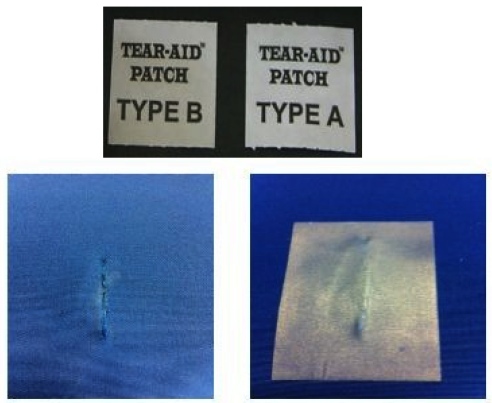 Tear-Aid® is a flexible cut-to-size patch with a single sided aggressive adhesive that will stick to a variety of fabrics. The patches come in Type A for all fabrics, including Sunbrella®, and Type B for vinyls. Just clean your fabric according to their instructions, stick the patch on both sides of the fabric, rub, and you're done. Instant boat cover repair! The patch is semi-translucent in color, so it blends pretty well. 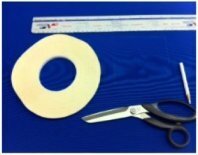 Another boat cover repair product on the market that also works well as an adhesive patch is Sail Repair tape. 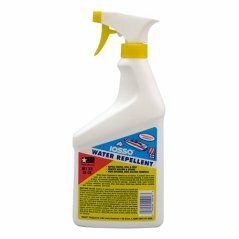 This is available in most marine supply stores, but only comes in white. **For larger tears, you may need to use a professional fabricator for a quality boat cover repair. Thread tip! 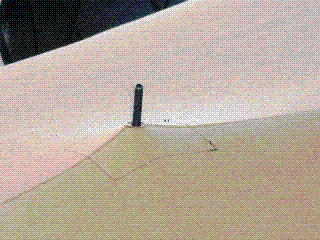 Give your boat cover the tug test every year, without fail, to check the integrity of your thread. If you do this faithfully, especially after a storm, you will save yourself many costly repairs. The thread may look fine, but fails when substantial pressure is applied. I can't tell you how many conversations I've had with customers on this subject and how many times I have been told “my thread was fine”. If you've gotten to the point where your thread is gone, you'll be looking for a shop to re-stitch your cover. Remember to ask the shop owner what kind of thread they use! A 138 polyester thread should last 3 years in the most difficult tropical climates, 5 years in the south, and even longer in the north. A 92 polyester thread should last 2 years in harsh climates, and even longer in milder climates. We now sell black and white thread in two sizes! If your boat cover tent pole is the type that sticks through a grommet and your pole has ripped out of the grommet, as long as it is a clean protrusion, you may be able to repair it on your own using a tent pole vent called a Boat Vent 3®. These type of vents require a 2 1/4" hole to be cut into your cover. The vent unscrews and separates into two halves. One half goes on the outside of the cover and the other half goes on the inside. Once you have them positioned, screw the two halves back together and insert the pole into the female receiver cup. The bonus of using a vent is that the hot air build-up under the cover escapes through the vent. 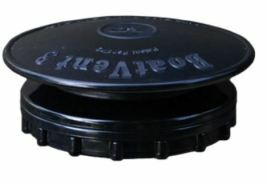 In my opinion, most boat covers should have this type of boat vent installed. This boat vent does not need a reinforcement patch in place before you install this type of vent. 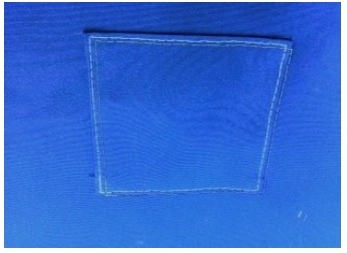 However, if you decide to use one for the extra reinforcement, then the fabric would need to be very light. This vent uses teeth to pierce the fabric and if the fabric is very thick it will resist the teeth. The best way to prevent mildew is to keep the dirt from building up on your cover. 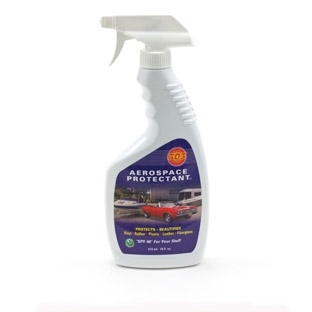 The mildew grows on the dirt trapped in the weave of the fabric, so keeping your cover clean is your best defense. My most frequently asked questions are: "Can I put Sunbrella® in the washing machine?" and "Can I pressure wash Sunbrella®?" The best way to clean your fabric is by laying it flat on a driveway, dock, or grassy area and use a soft bristled, long handled scrub brush. Sunbrella® suggests using a mild, natural cleaner such as Woolite®, Dreft® or Ivory snow® for light cleaning. Sometimes you just need more help! 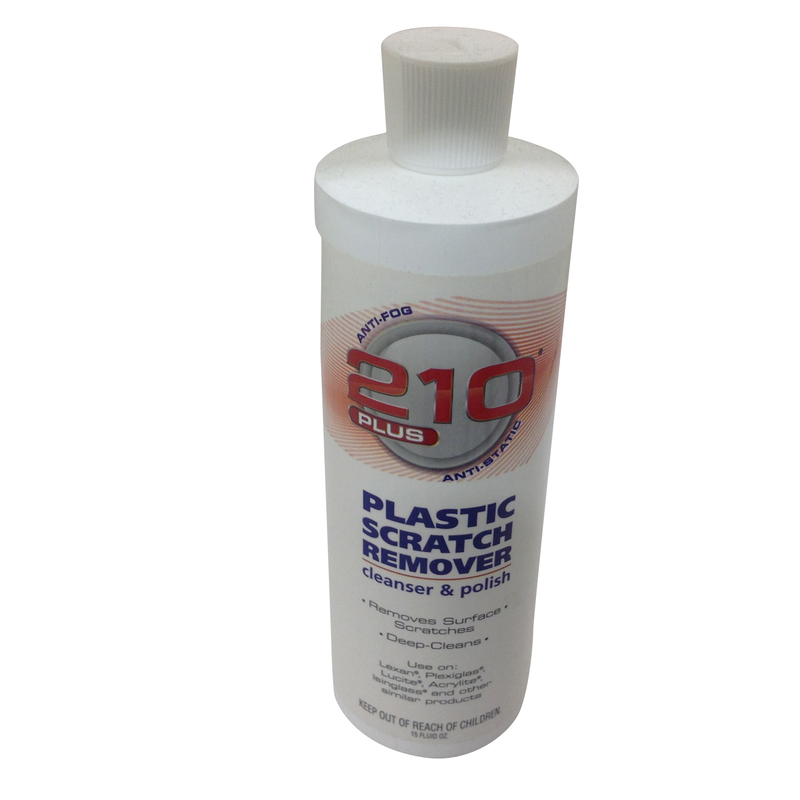 I suggest using one of our industry favorites, Iosso Mold & Mildew Stain Remover® seen below. If nothing you try gets rid of the mold, you may need to use Clorox®. Use 1 cup to 1 gallon of water along with some detergent. Clorox is very tough on the threads unless your threads are PTFE® lifetime threads. Using Clorox® will absolutely shorten the life of your polyester threads, but the truth is sometimes the really tough mildew won't come out without it. Clorox® should be a last resort. If you use Clorox®, please rinse extremely well. 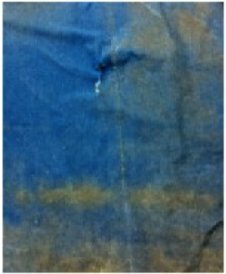 As for pressure washing your fabric, I've seen it done many times but you'd better be sure to do this on a very light setting and stand back from the cover. You don't want to blast a hole right through your fabric. Washing machines can work too, but for both pressure washing and washing machines you will need to re-waterproof your cover. 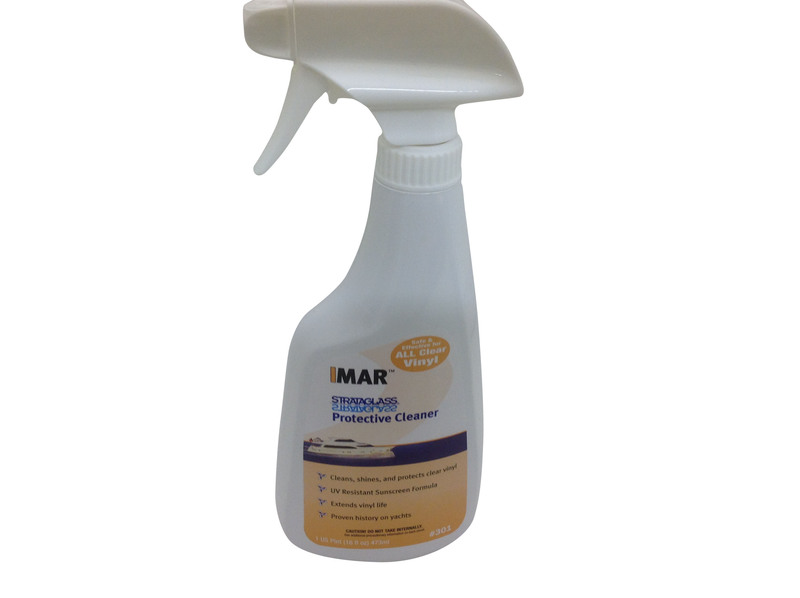 Before waterproofing a boat cover, it must be completely cleaned without exception. You don't want to seal in the dirt. No, Scotchguard in the spray cans doesn't work for well for waterproofing canvas boat covers. A final reminder on the topic of boat cover repair. Keeping your canvas boat cover free of dirt to start with is your best defense against mold and mildew. This will help you prolong the life of your boat canvas which really does keep money in your pocket.